You do gotta. You do. You do. What’s rockin’ can’t you see? Low #1 - Written by Rick Remender, art by Greg Tocchini, lettered by Rus Wooton, edited by Sebastian Girner, published by Image Comics. Man, I tell ya…you go away for two weeks, and come back to a large stack of comics waiting for you at the ol’ LCS with little time to get in a timely post. 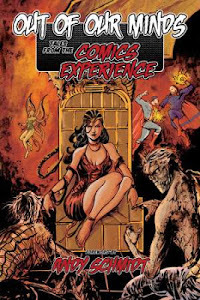 Then you notice that the trusted store owner has safely tucked away a copy of what is destined to be yet another great title from Image comics, and no shocker at all, it’s written by Rick Remender. Now if you’ve been following Donist World for the past year, then you know what I think of Remender’s other recent works Black Science and Deadly Class (Spoiler alert!…both come VERY HIGHLY RECOMMENDED! and you can buy each trade for roughly $8.00). Now with his third creator-owned series, did I have any doubts whether or not this comic would thrill my cold Donist heart? Nope, none at all; oh how I love to be right. Many millennia in the future, mankind has had to retreat below the waves in order to escape the building radiation from the Sun, which will eventually go supernova and eradicate the human race. Enter the Caine family. As the mother and father take their two daughters out to capture a “mammoth” to replenish their dwindling food supplies, they are ambushed by ocean floor scavengers, and everything goes wrong. Now, it is up to the steadfast optimism of wife and mother Stel Caine to confront all obstacles and keep her family safe. I loved everything about this comic. From the moment I saw the magnificent, gorgeously colored art, great character designs, and the magical undersea world — including the room with something that gives new meaning to the term “water bed” — I was hooked like a teeny-weensie guppy. 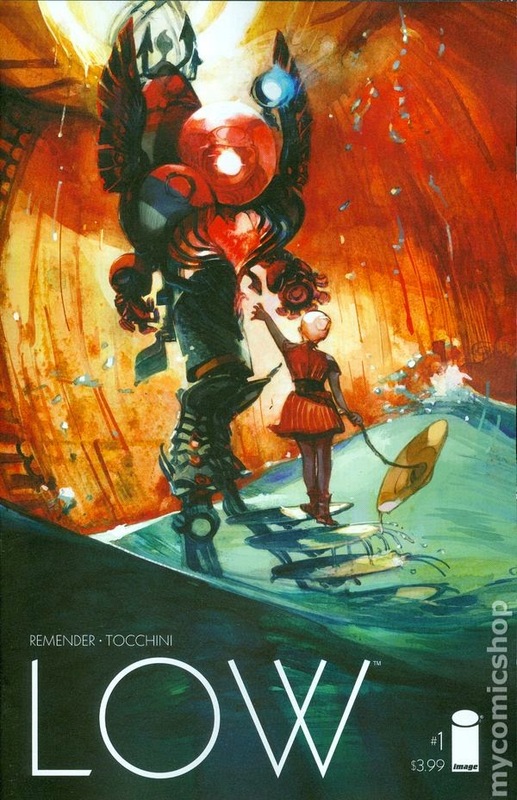 Sure, Tocchini is a fantastic storyteller, but the ships, both inside and out, with their advanced technology are something that need to be seen and experienced; I whispered “wow” multiple times as I went from panel to panel, page to page. Beautiful art is great and all, but when you have an amazing story that kicks into gear on the very first page, you know you are in for one heck of a great ride. So, yes, Remender has done it again, and I am excited beyond words to see what happens next. You need to track down a copy of this comic ASAP, if you do not have it already. VERY HIGHLY RECOMMENDED! 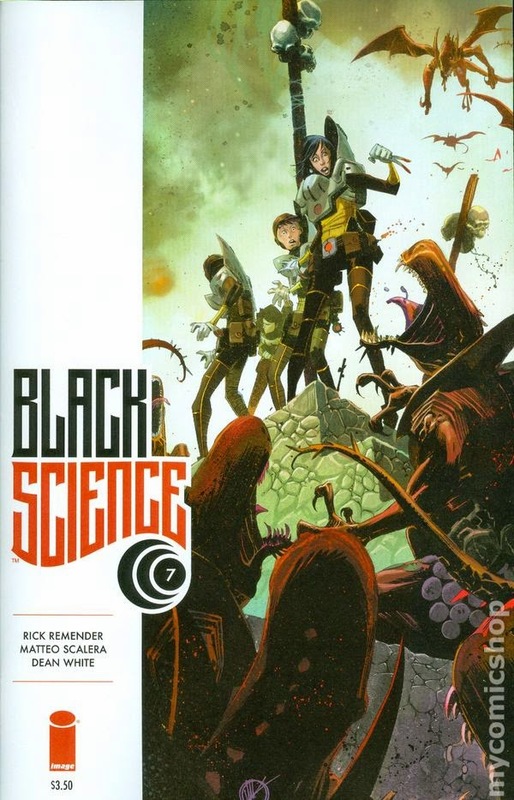 Black Science #7 - Written by Rick Remender, illustrated by Matteo Scalera, colored by Dean White, lettered by Rus Wooton, edited by Sebastian Girner, published by Image Comics. 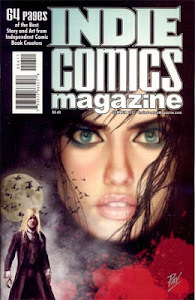 Remember a few hundred words ago when I was extolling the recent works of Rick Remender, and how his now three creator-owned books were amazing comics everyone should be reading? Well, after a brief little hiatus, Black Science is back with a vengeance with an arrive late, leave early after-igniting-a-ton-of-powder-kegs story that leaves you desperate to catch your breath as one bout of craziness follows another. After the immense tragedy last issue, the Anarchist League of Scientists cannot catch a break. Captured by cruel reptilian beasts, it is up to an unlikely savior to prevent the team from becoming a meal for the savage race of beasts. Where Low had me gasping in wonder at a beautiful undersea world, Black Science had me wide-eyed and madly whipping through the pages to see what happened next. Of course Scalera’s art is amazing and White’s beautifully painted art worthy of displaying proudly in your home, but it was the madness of the pacing that had me blazing through before returning for a less-frantic second reading to appreciate every bit of beauty I had unintentionally missed. This is how you begin a second story arc, not just by hitting the ground running, but by tripping and stumbling and righting yourself as you dodge lasers and arrows while ducking and then jumping onto a fish-horse. Criminy, my heart’s still racing after this one. To heighten the experience, Donist recommends that you drink plenty of coffee before reading this nerve-wracking, ball of fire. VERY HIGHLY RECOMMENDED! Chew: Warrior Chicken Poyo - Written and lettered by John Layman, illustrated and colored by Rob Guillory, color assists by Taylor Wells, published by Image Comics. We don’t need no stinking numbers!!! 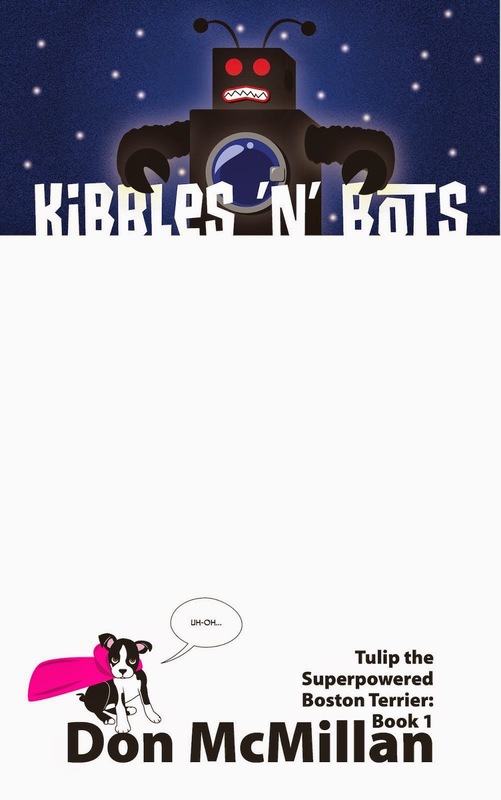 This is the second one-shot focusing on the cybernetic murder-machine that is POYO!!! and by golly I hope it is not the last. If you’re ever feeling tired (me) or down (not me, all’s good today, but you get my drift) then laughter truly is the best medicine. On this particular comic, I took my medicine well in excess of the prescribed dosage and I…am…feelin’…mighty…dang…rootin’…tootin…fine! Poyo is back and living the chicken life as he does important things. You know, like saving the President from micro-nuclear-battle-nanites, or traveling into a fantasy world to combat an evil groceryomancer hellbent on raising an army of murderous vegetable monsters. Here is the problem for all who oppose Poyo: NONE have a chance of withstanding the wrath of a chicken. Game over, jerkwads, game over. I’m pretty sure I’ve said it before, but whatever they are feedin’ Chew’s creators that enables them to come up with this stuff, I would like to place my order and super size it to boot. I’m not joking. I was cracking up throughout this entire book. Whether I was watching Poyo eviscerate some terrorists, or reading a random sign held by some idiot on the double-page splash — or the sign on the “troll bridge” on the following page — I knew I was in for something special and I was only on page six. Then it was on to the Conan-style barbarian goodness of epic battles and mighty warriors (Dorothy and Toto?!?!) and more hilarity. If you are a fan of Chew, then this is a MUST OWN book. If you have never even cracked a peek at that fantastic series — for shame, btw — and you could use a healthy dose of hilarity in your life, then you should seek this one out. I thoroughly loved this special. VERY HIGHLY RECOMMENDED! 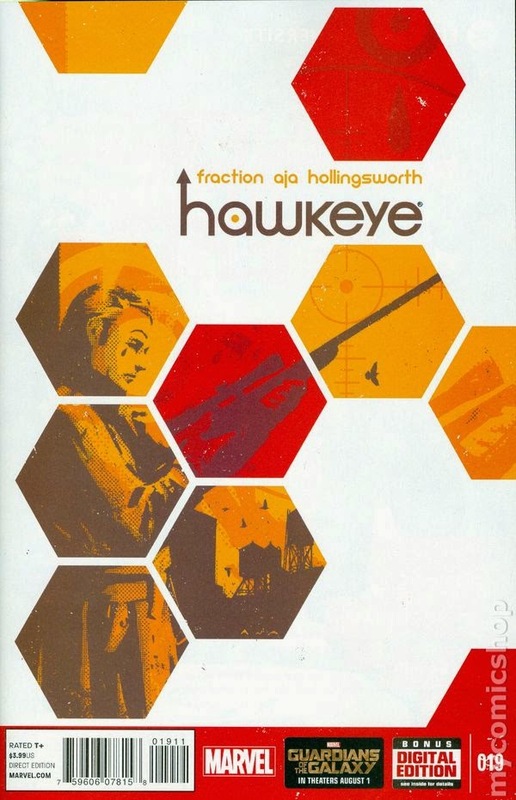 Hawkeye #19 - Written by Matt Fraction, illustrated by David Aja, colored by Matt Hollingsworth, lettered by Chris Eliopoulos and David Aja, published by Marvel Comics. When did the last Aja issue come out? I honestly don’t remember, but I will say that I am very glad to see Hawkeye return. I’m also hoping that we don’t have to wait as long between issues for what is my favorite superhero comic. Clint and Buddy have survived the ruthless attack by the assassin known as the Clown. As Clint decides how to deal with his possibly-permanent deafness, and Buddy how to cope with being confined to a wheelchair, they put together a plan to finally deal with the tracksuit Draculas and this Clown jerkwad. Great pacing, a touching storyline, and an ending that made me cheer as my heroes pull their act together despite their dang-near broken bodies. Even after far-too-many months, Hawkeye is the Marvel comic I am loving the most. Even if you dropped off because of the lengthy waits, you should definitely return to this fantastic book as this issue does not miss a beat. HIGHLY RECOMMENDED! 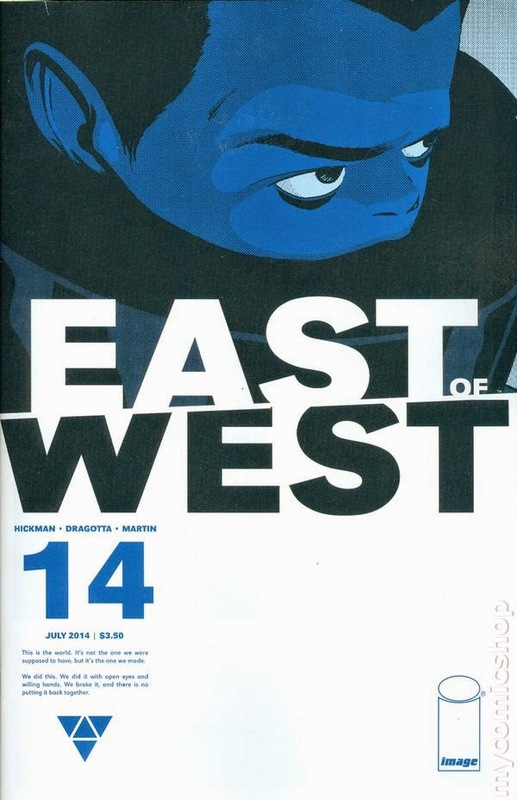 East of West #14 - Written by Jonathan Hickman, illustrated by Nick Dragotta, colored by Frank Martin, lettered by Rus Wooton, published by Image Comics. As Secretary Chamberlain sees his machinations begin to pay off, War, Conquest and Famine come to a consensus as to what to do with the Beast, the son of Death. Conquest’s son might have some issues with the Horsemen’s plans, as war begins. As I say with every release, Hickman and Dragotta are playing the long game with the fantastic East of West, and they have shown, patience will be well rewarded as the more supernatural players come closer to confrontation. This is a heavy read, denizens, no mistaking that, and precious little is spoon-fed to the reader. You have to listen and pay close attention to what is happening and what is being said, as the tale unwinds. I will also say that either rereading the individual issues or binge reading this series (two trades are thus far available) might be the way to fully appreciate the intricacies of the story the creators have crafted. I continue to love this delightfully complex comic. 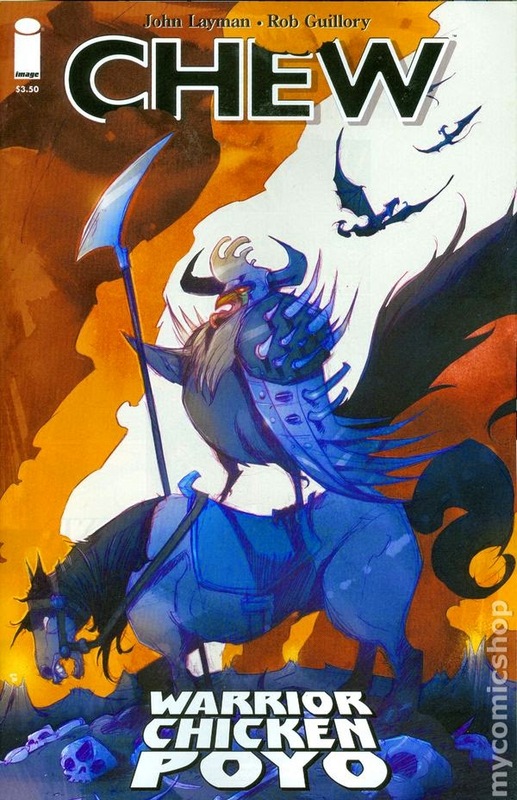 Oh yeah...be afraid, be very afraid, the horsebeast rides again. HIGHLY RECOMMENDED! Guardians of the Galaxy (Movie) - I’m not going to spoil anything here, other than to tell you that I thought the movie was beyond anything I could have ever hoped for. This is leaps and bounds my favorite of the Marvel movies, and that is taking into account the tremendous Avengers movie, and the the spytastically great Captain America: Winter Soldier. Starlord, Gamora, Rocket, Groot, Drax, Ronan, Nebula and everyone else were great, and I left the theater with the same feeling I had decades prior after seeing Star Wars for the first time. Now I’m plotting my second viewing, and counting the days until I can buy this funny, action-packed, touching, visual extravaganza on blu-ray. Man, I wish I was off to the theater to see it again right now. VERY HIGHLY RECOMMENDED! Rush, Rush, Rush - Okay. Sorry, denizens. I just returned from a two and a half week long vacation (Big Sur, Santa Cruz, Saratoga, Los Gatos, Timber Cove, Carmel) and rolled into town mid-afternoon yesterday. I then had to put the house back together on account of some work done to the interior, and then I ran downtown to pick up a hefty stack of books. Needless to say, I have not yet read everything, so I will probably have to talk about some of the as-yet-unread titles next Friday. Sorry, about that, but I wanted to be sure I posted a little somethin’ somethin’ about what I did read and what I discovered to be most heavenly. Anyways…HEY! Where’s my copy of Lazarus?! Awwww man. Dagnabbit!